1. Banihal is an important pass connecting the hill areas of Jammu to the Kashmir Valley. It has an average elevation of 1,666 metres (5,466 ft). It is located some 37 km (23 mi) away from Qazigund of Anantnag district on NH 1A highway. Banihal pass is a mountain pass over Pir Panjal range. 2. Zoji La is a high mountain pass in India, located on the Indian National Highway 1 between Srinagar and Leh in the western section of the Himalayan mountain range. Though often referred to as Zojila Pass in the foreign press, the correct English translation is Zoji Pass or simply Zojila, since the suffix 'La' itself means pass in several Himalayan languages. 3. Rohtang Pass(altitude 13,051 ft (3,978 m)), is a high mountain pass on the eastern Pir Panjal Range of the Himalayas some 51 km (32 mi) from Manali. 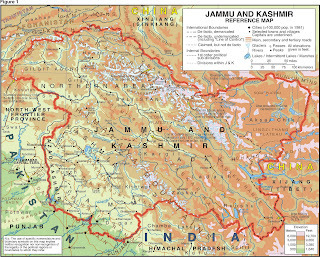 It connects the Kullu Valley with the Lahaul and Spiti Valleys of Himachal Pradesh, India. The pass provides a natural divide between the sub-humid/humid Kullu Valley with a primarily Hindu culture (in the south), and the arid/semi-arid high-altitude Lahaul and Spiti valleys with a Buddhist culture (in the north). 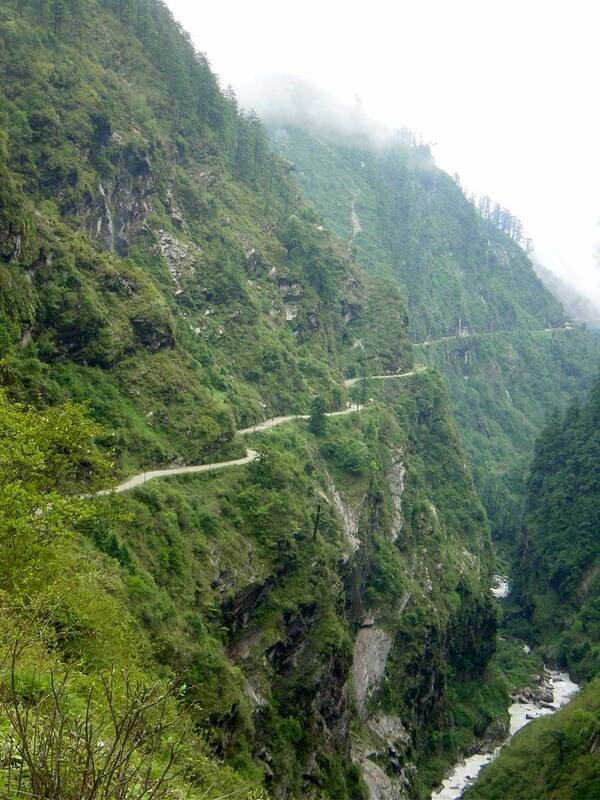 The pass lies on the watershed between the Chenab and Beas Basins. 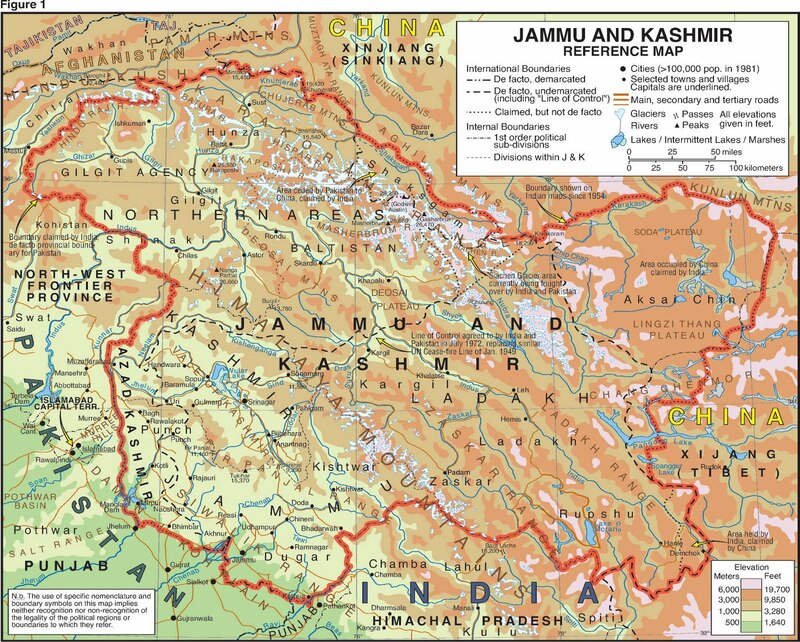 On the southern side of this pass, the Beas River emerges from underground and flows southward and on its northern side, the Chandra River, a source stream of the river Chenab, flows westward. 4. Mohan Pass is a principal pass in the Siwalik Hills, the southernmost and geologically youngest foothills running parallel to the main Himalayas in Sikkim. 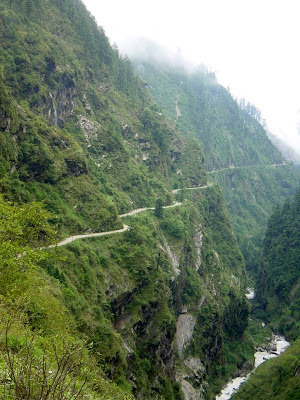 The main road from Saharanpur in Uttar Pradesh to Dehra and the hill station of Mussoorie in Uttarakhand cuts through the pass, then crosses the foothills. 5. Kora La at 4,594 metres (15,072 ft) elevation on the Nepal-Tibet border at the upper end of Mustang. The Kali Gandaki Gorge (a graben), transects the main Himalaya and Transhimalayan ranges. 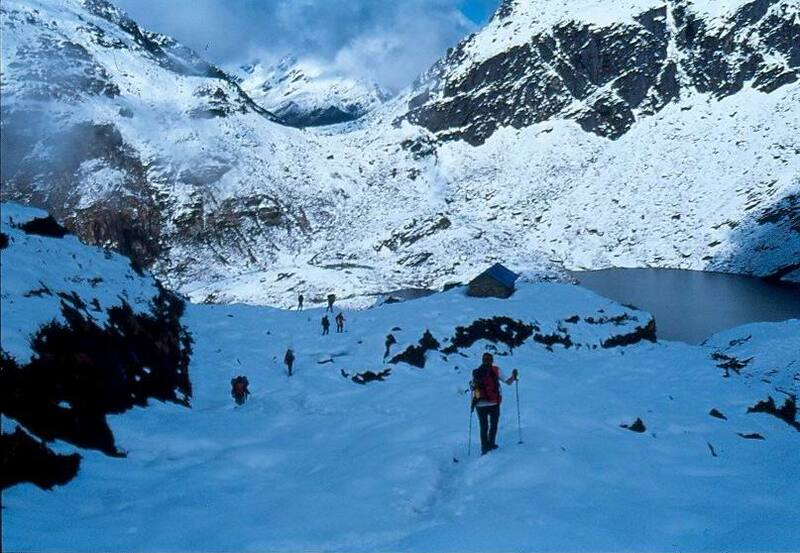 Kora La is the lowest pass through both ranges between K2 and Everest, but some 300 metres (980 ft) higher than Nathula and Jelepla passes further east between Sikkim and Tibet. 6. Arniko Rajmarg/Friendship Highway route from Kathmandu, Nepal crossing into Tibet at Kodari/Zhangmu, to Nyalam, Lalung-La pass (5,050m/16,570'), Tingri, Xêgar, Lakpa La pass (5,250m/17,225'), to Lhatse on the Yarlung Tsangpo/Brahmaputra River about 460 road kilometers west of Lhasa. 7. Gangtok is the capital and largest town of the Indian state of Sikkim. Gangtok is located in the Shivalik Hills of the eastern Himalayan range, at an altitude of 1,437 metres (4,715 ft). The town, with a population of thirty thousand belonging to different ethnicities such as Nepalis, Lepchas and Bhutia, is administered by various departments of the Government of Sikkim. Nestled within higher peaks of the Himalaya and enjoying a year-round mild temperate climate, Gangtok is at the centre of Sikkim’s tourism industry.